Sometimes I feel like our world is spinning so fast – constantly in motion – filled with never-ending chaos and so many things to do. Somebody needs something from me in almost any given moment during the day (and night), so that’s typically what I’m focused on – the task at hand whatever it may be. We live day-to-day; we HAVE to in order to maintain some semblance of sanity. The overall bigger picture is way too overwhelming to even attempt to take in all at once. Well this past week I was forced to STOP everything for a minute. I got a serious reality check. I noticed that one of our cats (Jackson) looked like he had lost some weight and was acting lethargic. I stopped everything – took a deep breath… and really LOOKED at Jackson. I thought about it a lot… and the truth is that while I’m snuggling with the cats at night, attempting to focus on TV, or even just talking with my husband – somewhere in the back of my head I’m CONSTANTLY thinking about Lila. 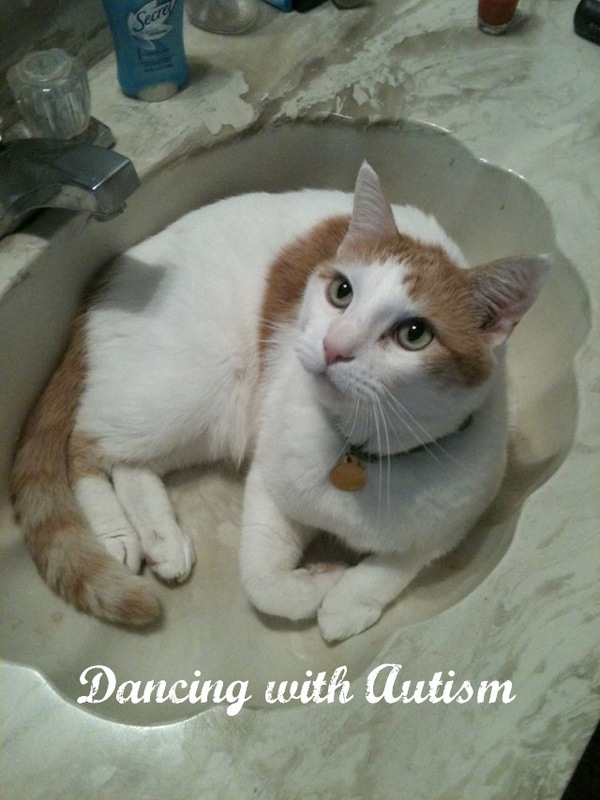 Autism… the latest research articles and studies – Are there new things we should be trying? What are our therapy goals for this week? Have I found a Halloween costume that’s sensory-friendly enough for Lila? Have I done the laundry, cleaned up, scooped the cat litter, fed the pets, paid all the bills, got all the groceries we need, given Lila all her necessary medication, worked on glasses time, PECS cards, motor and vocal imitation, taken my pills, at least attempted to exercise today, and got everything ready for tomorrow? It’s all so structured, our routine – and ridiculously fast-paced – never a moment to rest. We have to be “ON” 24/7, 365 days a year – and sleep deprivation only adds to the insanity. I need to STOP researching on my phone at 10pm and just truly “be” with my husband instead. I need to STOP rushing around trying to clean like a mad-woman in the 30 minutes I have to myself after Lila goes to sleep. I need to just STOP…. breathe… and slow down. Definitely a lesson learned. Jackson was diagnosed with hypothyroidism and a UTI, thankfully it can be controlled with diet and medication; and I’m very grateful that the cost of this lesson wasn’t much higher. *Pssst! * Hey you… yes, YOU! I know you’re emotionally and physically exhausted – tired in a way that is far beyond what you ever could have possibly imagined. I know it’s hard for you to go to sleep at night – because you can’t turn your brain off – and if I looked into your mind right now it would probably look like a computer with 5,000 browser screens opened at once. I know it’s HARD. This is the hardest thing I’ve ever done to date. You have to be “on” ALL the time, 24/7. It won’t be easy – but it WILL be worth it. For the past week, we’ve been in the throws of a bath-time meltdown phase. Bath water starts, Lila gets super-anxious. When I come to pick her up to take her to bath (and sing our transition song), she completely loses it. After a few failed attempts at distraction, I came up with the following: put her balloons in the bath (she loves them). NOT for her to play with, but to help re-direct her focus onto getting those balloons out of the bathtub (they don’t “belong” in the bathtub). She gets busy trying to get them out, and inevitably sits down while doing so. Once she sits down, it’s like “Hey, wait a minute – this isn’t so bad”, which buys me enough time to get her clean. The time this happened before, I solved the issue with the fuzzy hair twisties. She would focus on picking them out of the bowl I had them in, and I would say what color she had in her hand. Hoping this works for a while, and already trying to think of some new distraction techniques for next time! A little girl at Lila’s daycare (same age as Lila), dragged me by the hand over to play with a toy she was interested in. She told me what the cat says “meow!”, what the dog says “woof woof!”, and showed me HOW she wanted me to play with the toy (made my jaw drop!). She also hugged me multiple times and called me “Mommy”. No matter how many times I see neuro-typical child behavior, it never ceases to amaze me (Lila is our first and only) It is truly UNbelievable how much EASIER things are for typical kids than they are for Lila. I so wish things were easier for her. Those children just naturally do the very same things that take us months and months to work on. I hope their parents all know what an absolute miracle each one of those behaviors are and that they don’t take them for granted! Even though we live this life, and I run a Facebook page about it – there are still moments that come out of nowhere and feel completely surreal to me. A therapist is going to daycare to explain to the other children why Lila is so different – that she – our daughter – has autism. I felt like I was having an out of body experience, having fleeting thoughts of the “before” times, when thoughts of this neuro-developmental disorder had not yet entered into our daily lives. Yet here I am today, here at my full-time job: trying to sneak-read “Life, Animated”, work on new PECS cards for Lila, prepare for our home visit from the OK Healthcare Authority in regards to TEFRA approval, Google “autism” news/ articles/ studies as I have every single day for the past year and a half, and help Janet plan a lesson to help teach the other daycare children about autism. There never has been (and I suspect never WILL BE) time to truly digest ANY of this, and that’s probably for the best. We just keep going, keep working, keep fighting – always keep moving forward. Hello, Everyone! I thought I’d do a quick “about us” for those of you who have joined us. We knew our little Lila was different from the get-go, even though she was our first and only child. She was extremely colicky and would scream for hours on end. Terrible GI issues, acid reflux, and sleep problems from the beginning. 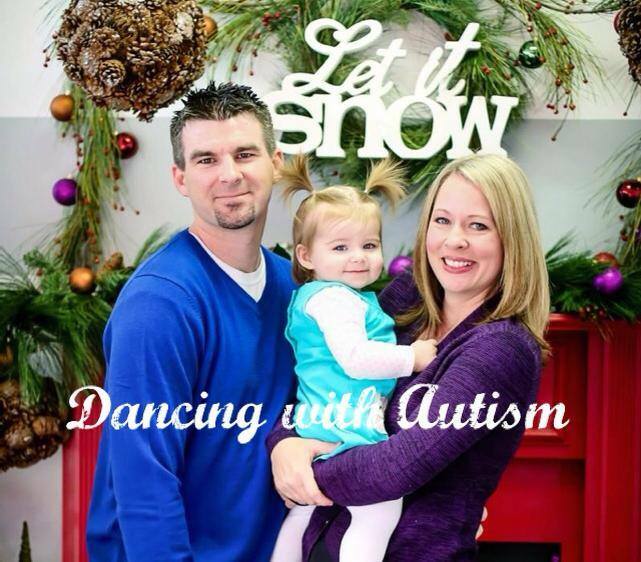 My husband and I live in Oklahoma (service-wise it is unfortunately one of the absolute worst places to live with a child with autism). However, we got involved with SoonerStart when Lila was 15 months old (she just turned 2!) 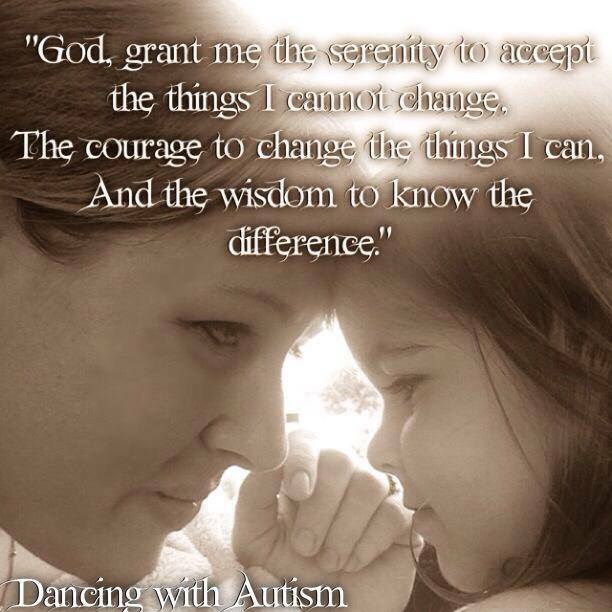 and we have the BEST therapist/angel ever to help both Lila and us through this journey (Janet). She is our Yoda, our Mary Poppins, you name it – and we’re extremely lucky to have her as an integral part our lives. 11 months ago Lila would barely even acknowledge my husband and me. She was often in her own little world. We’ve come such a long way since then, and we’re so grateful. It’s taken a lot of hard work by both Lila and us to get to where we are now. Most all of our interactions have some sort of therapeutic component, and it has worked wonders. Lila is the most amazing human being I’ve ever had the opportunity to meet. She’s incredibly smart, beautiful, funny, and such a little fighter. She has to work so hard just to be “okay” in our world. I’m so proud of her, and she teaches us something new every single day. 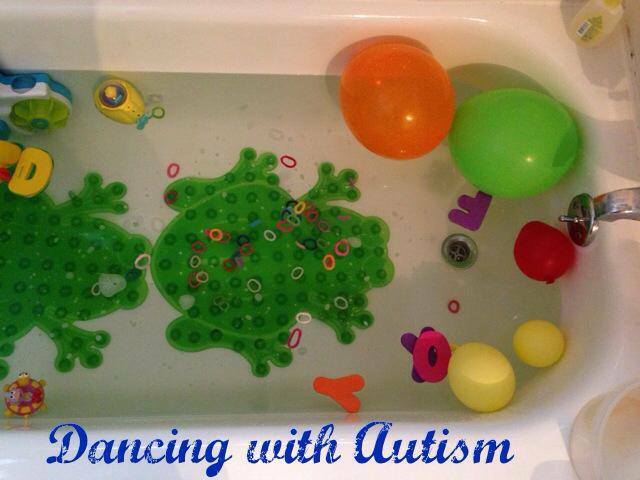 That being said, there are a LOT of challenges to having a toddler with autism. I created our Facebook page (and this blog page) to help maintain my sanity, and to connect with others in a similar situation.